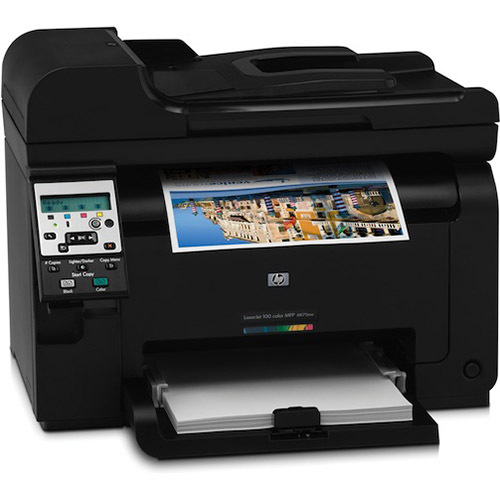 1ink.com carries the cheapest cartridges for HP Color LaserJet Pro 100 M175a printers. Don’t let the price fool you, though; these cartridges offer all the convenience and performance you’re looking for to power your home or small office operations. You’ll love the bright, bold appearance of your printed images and the clear, sharp text in your documents. No matter what you need to print, you’ll quickly realize that our remanufactured HP 126A toner cartridges install and perform just like an original equipment manufacturer (OEM) cartridge. You’ll get the same product specs that an OEM cartridge offers, too: our black toner prints up to 1,200 pages and each color cartridge (available in cyan, yellow, and magenta) can print up to 1,000 pages. There’s even a convenient four-pack to bundle together one of each cartridge for additional savings. Finding the right price on HP Color LaserJet Pro 100 M175a toner isn’t difficult with 1ink.com. We offer the highest quality products at the lowest prices, making it easy for your business to thrive while helping you save over half off the OEM retail cost.